Whether you are walking, doing aerobics or training for football, the added weight from a weighted vest will enhance your calorie burning, add resistance so your muscles will develop with better results and an overall improvement in your fitness. Comfortable because the weight added is chosen by you and evenly distributed. 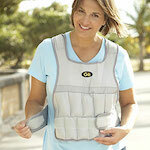 As your performance improves you just add more weight to the vest to keep your weight loss going. Use the vest for outdoor walking programs or indoors on an elliptical or treadmill. Check out the happy customers for the weighted vest here. Use at home, work, gym, or when walking. 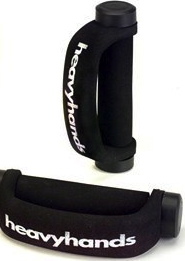 The easy grip and the strap makes walking or even doing some shadow boxing easy to do. Tone and strengthen your arms while adding extra weight to your walk will increase your metabolism helping the body fat melt away. Elliptical trainers are easy, quiet, and reliable. Move easily and smoothly while getting a great workout and its less impact on your knees. Is it raining outside or maybe too late to hit the streets? Maybe you just want to increase your stamina or burn extra calories in the comfort of your own home. Ever think to talk your boss into buying one of these for the office? The handlebars allow for additional upperbody workout to speed up your fat loss goals. 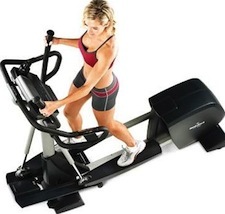 See what others are saying about the benefits to owning an Elliptical Trainer. Keep healthy the old fashioned way by just getting out in the air and walking. 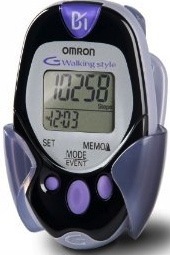 Studies show that just by keeping track of your steps you will be motivated to walk even more. 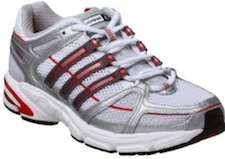 Selecting a good walking shoe will depend on your walking style. Some of the things to look for is a low support heal. Your shoe needs to be flexible and be able to twist. A shoe that is light in weight and made of breathable material so your feet won’t be so prone to sweating. When buying a good walking shoe this is the one place you don’t want to economize. Make certain you have enough foot room – but not too much. About a half inch at the end of your big toe is recommended by the professionals and you don’t want your heal to slip. For width your toes should be able to move and not pinch. If you try on new shoes after you have been on your feet for awhile you will get a better idea of how the shoe will fit. Also be sure to use the same socks you plan to wear (good walking / running socks are worth every nickle in my book). Be mindful of the return policy for the shoes. Most good running / walking stores worth their salt will return your shoes for a bad fit without question (especially since their people are supposed to be fitting you!) But play it safe and wear your new shoes in the house for a few days to be sure of your choice before venturing out. A store has the right to refuse to accept a return on merchandise worn. 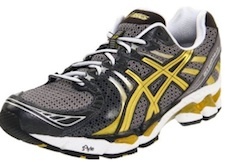 It never hurts to get two good pair of walking shoes either if you are walking / running everyday in them. This way you can rotate them and you will be assured they are in top shape. 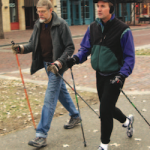 With a pair of walking poles your most leisurely stroll becomes a fabulous and easy full body workout. Give your knees a break and try this old (but new) style of walking. Giving a full body workout for your arms, chest, back abs and legs. Excellent for posture and joints. If you are new to the idea of Nordic Walking Poles then you might want to see the full range of videos available on YouTube plus there are some great Nordic Walking DVD’s available too. Convenience, strength, and portability. If you are obese or have problems with your hips, knees or ankles you may ask your physician if a walker might be the answer to help you get on the road to fitness and weightloss. 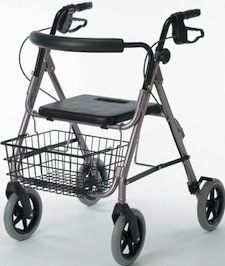 With a built in seat for when you need to rest and brakes on the handle bars you are about as safe as you can get while out walking. Some walkers come with bags but you can easily attach whatever accoutrements you need. Most walkers adjust for your individual height so you can maintain a good posture. If you have felt confined because of weight or medical problems – check with your doc first and see what s/he says about using a walker.